Indie Retro News: Fatal Smarties - A cool homebrew Sega Genesis/Mega Drive shoot em up! Fatal Smarties - A cool homebrew Sega Genesis/Mega Drive shoot em up! 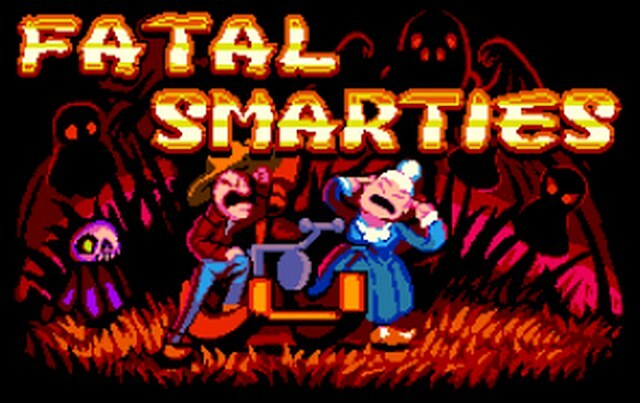 If you have a Sega Genesis/Mega Drive with a way of playing homebrew games or the emulator Fusion, it might be worth your time to come and play ' Fatal Smarties ' by Mike Tucker, Matt Cope, Jon Davies and Mike Clark. Developed as a 48hour for the Global Game Jam, Fatal Smarties is a cool looking homebrew shoot em up in which you play as two hillbilly heroes in a homemade flippercopter to repel the demonic waves of evil! Unlike many shoot em ups we've played before, this one requires two players as it has a two player control system. One person controls the movement of the copter while the other controls the direction of fire. So working together is a must, as in this game when you die, it's a game over, which happens alot! 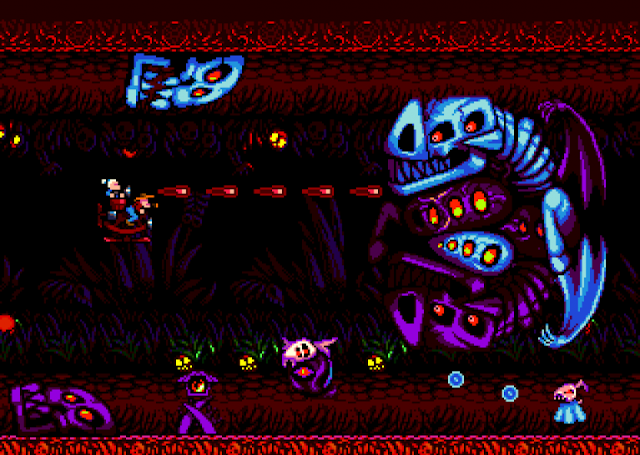 But other than the difficulty this is a very nice looking and sounding game with some fantastic enemy designs. But for some reason and i'm not sure if it was emulator related, but on the third wave the game completely bugged out and I couldn't make out anything on the screen. Still though for just a 48hour game I'm impressed and you'll be pleased to know you can download it too!